Is Giving away £20 worth of goodies from my store, of your own choice! But do not move the elements around! Please Remember your work must contain one of the stamps that can be found on this list Here! Don't forget to go check out the blog and all the other Designers, They done super work! 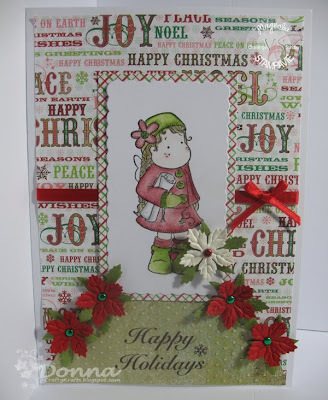 This entry was posted on 2.11.08 and is filed under Magnolia Stamps , Magnolia Vs Stampavie Challenges , Stampin Up . You can follow any responses to this entry through the RSS 2.0 feed. You can leave a response, or trackback from your own site. Excellent !!! avec un superbe papier de fond, bravo ! I love your card! The flowers are so cute, and the papers are amazing! Donna your card is absolut brillian.